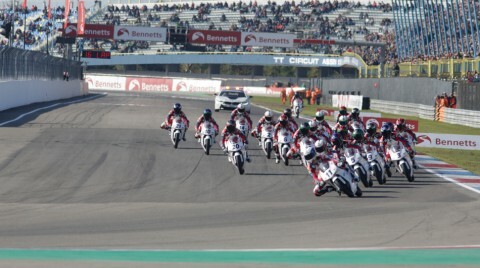 The TT Circuit Assen has a habit of creating classics and Race 2 of the British Talent Cup was no different. Going down to the final chicane between Rory Skinner and Max Cook, their race long duel was decided by thousandths - and it’s Cook who took the spoils. Completing the podium after a somewhat solitary but solid race was Thomas Strudwick, who took another 16 points to stay in touching distance in the title fight.